This week we continue to review the Portland Parade of IFEC that we introduced last time to cover some folks we didn’t mention previously. Over the next few weeks we will try to cover all we talked with and give our readers a brief review. If you had not heard, El Al won the Best Achievement in Passenger Experience Award at APEX this year for “Cockpit”, and high Tech innovation hub – a way for the airline to help fund and develop new technology products and services that will contribute eventually to revenues. It works like this: “Today reality in the aviation world challenged El Al to create additional sources of revenue apart from flight tickets – by developing new businesses on the existing platform from the realization that innovation is to the aviation world like breathing is to life.” By finding and supporting new innovations from the world of ideas and making them successful businesses is an interesting idea for airline revenue enhancement. Congratulations to Rinat Cohen and his team! And speaking of APEX, we got a bit confused about all the planned APEX events till we saw their Forthcoming Events display – It might help you as well! AirFi are the ‘portable’ Wi-Fi folks from the Netherlands and we talked with Martjin Moret and Job Heimrikx about their Wi-Fi product and they told us that their “little white server/router box” has been flying since January of this year, have 100 in service and 245 by the end of the year… all in more than 100 airplanes soon. The “portable’ white box streams to 50 passengers for 15 hours with 50 users. We understand is on a B787 delivering second screen entertainment. Also, expect a new version to be shown at AIX that will deliver stronger signals, faster data rates, and serve more people with more movies. We anticipate a new moving map display and customizable points of interest. Martijn told IFExpress that there is no STC involved so the units are usually stored in a bin and they have patents pending on the device. 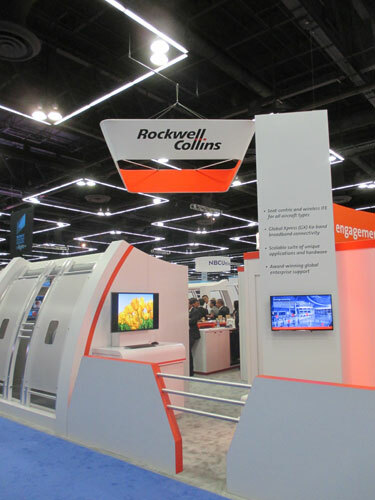 Rockwell showcased a portfolio of cabin solutions in Portland featuring in-flight entertainment, connectivity and content services – all aimed at demonstrating technologies that will engage, entertain and empower airline passengers. 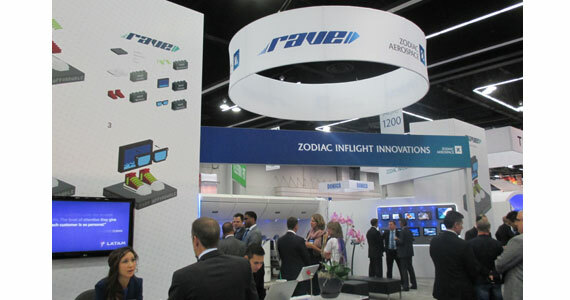 “We’re investing heavily in flexible IFEC solutions and applications that, when coupled with our Ka-band global connectivity offering, bring a very compelling value proposition to airlines,” noted Craig Elliott, Vice President, Sales and Marketing, Air Transport Cabin Solutions for Rockwell Collins. “Airlines will be able to personalize the experience for their passengers, resulting in increased brand loyalty and additional revenue.” We noted Inflight Internet and satcom services using Global Xpress that featured crew connectivity, real-time credit card authorization and wireless IFE, On-Demand seat centric IFE using a cool and intuitive touchscreen seatback interface, Broadcast entertainment, and an Airshow App – very nice. Rockwell Paves On-Demand in-flight entertainment (IFE) system is now offered for the 737 MAX. The seat-centric IFE solution has been added to the 737 MAX catalog. With the PAVES On-demand seat-centric design, each in-seat system is independent, so if one unit has an issue, no other in-seat systems are affected. Additionally, PAVES On-demand is equipped with a quick-release mechanism to quickly remove and replace in-seat displays. Security-wise. Also we note that Rockwell Collins has been selected by Boeing to provide the Avionics Gateway secure server on new 777X airplanes. The Avionics Gateway will feature the newest generation of Rockwell Collins’ Secure Server Router (SSR) that enables the safe transfer of data between the flight-deck, cabin crew and airline operations on the ground. Next-generation aircraft will offer incredible on-board networking capabilities and aircraft makers like Boeing are investing in sophisticated, secure solutions to ensure the networks are protected from malicious threats. Stay Tuned, or should we say, Watch Out! 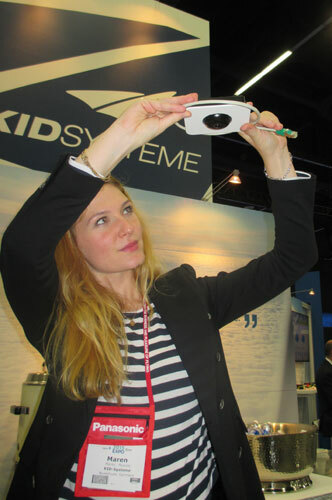 KID rolled out their cabin and cargo surveillance system and you can check out the easy-to-understand presentation here. The system comprises a myriad of aircraft applications including, Cockpit Door Surveillance, Cabin Video Monitoring and Cargo Surveillance in one common system. It is designed to be aircraft program / manufacturer independent to enable a fleet-wide deployment of a common video surveillance solution for airline customers. Click on the Video Surveillance link in the above website to get an excellent slide presentation of the system. We note that it is capable of monitoring some 20 cameras in the cabin and cargo areas and the system has a modular architecture that adds video recording, watermarking, connectivity and more (link). This system is one of the most flexible and least obtrusive in the cabin. Interestingly, the 5 megapixel cameras only consume 2.8 watts and look more like small access panels. Further, the watermarked live video streams enables video recording as evidence. We had an unscheduled meeting with nice guy, Kelvin Boyette, President and CEO, from Latitude Aero, a newer entrant in the seat refurbishment business. In the Rockwell Collins booth, Latitude had an example of their work. Noted Mr. Boyette: “The overall goal was to provide a proof of concept of turning an older, mid-90’s first class seat into a newer slimline seat with in seat video as opposed to in-arm. The Sicma seats were manufactured in 1996 and modified again in 2001. Other than that they remained untouched until we acquired them in August. In addition, we were also able to introduce their new 12” monitor into the seats as well.” He also noted, “We were able to complete the seats in 22 days, also proving our R&D and conceptual abilities that will allow the IFE/ISPS providers and seat OEMs the ability to use us for their outsourced R&D prototyping. Typical proof of concept seats have taken as long as 7-8 weeks at other facilities to go from design to shipment. I have uploaded quite a few pics from the show onto our Facebook page.” Check them out as they look very capable. “Overall for the airline,” noted Kelvin, “getting a ‘new look’ seat with modern amenities and current generation IFE for around half the price of a new seat is quite a deal.” We agree. For AIX followers, for the tenth time now, the Crystal Cabin Award Association is calling for submissions their international prize in aircraft interiors. The search is on for the most innovative ideas and products related to traveling above the clouds. Entries will be accepted at www.crystal-cabin-award.com until 4 November, and the winners will be announced, as always, as part of the Aircraft Interiors Expo (5 – 7 April, 2016) in Hamburg. The talented few who manage to win the hearts and minds of the 24 members of the expert jury will join the elite ranks of an impressive gallery of winners. 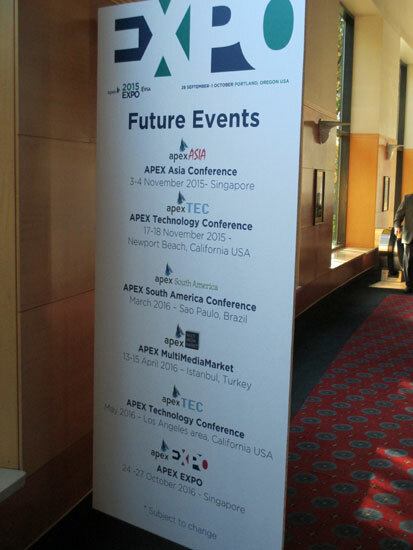 This year alone saw such big names as B/E Aerospace, ViaSat, Embraer, and Etihad Airways taking home the trophies. And to make the Award even more attractive in its jubilee year, an eighth category has been added: “Cabin Concepts”. Meanwhile, the “Cabin Systems”, “Electronic Systems”, “Passenger Comfort Hardware”, and “Visionary Concepts” categories have been refined to further sharpen the focus in these fields. 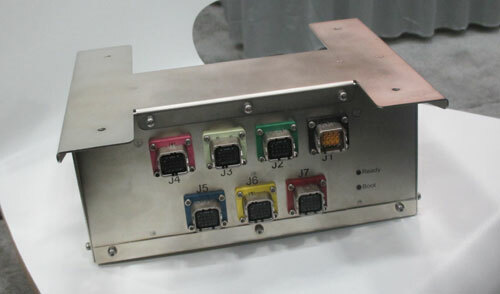 The folks at BAE Systems just published a bit about their in-seat power system development. CIT Aerospace notes that the top four US airlines account for 83% of US traffic; in Europe, it takes 40 airlines to account for 83% there – just thought you wanted to know. Rumor has it that the new ORBIS Flying Eye Hospital (FEH) had two recent successful flight tests. Check it out here. 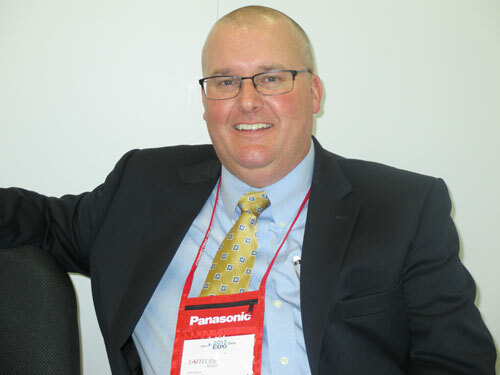 And lastly, Ron Chapman is back… and he told IFExpress that we “might go Ape” over his new connectivity solution.